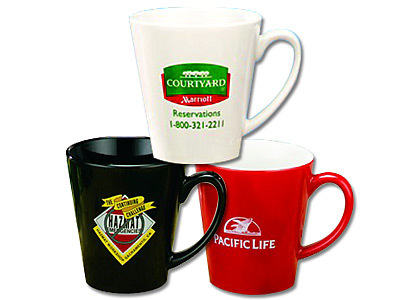 Promotional mugs are a great way to constantly remind clients, prospects and partners of your company brand. 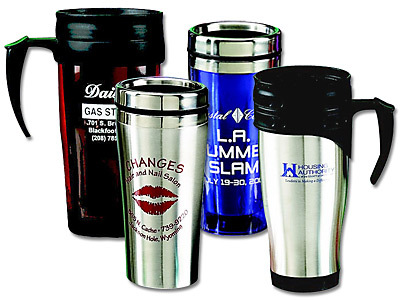 Promotional mugs are a thoughtful gift because they are something that everyone can use and they are one of the few forms of advertising you have complete control over. Unlike radio or print advertising where you pay a lot of money to get your message in front of a lot of people many of whom have no interest in your product or services, promotional mugs are something you have complete control over. You decide who gets a promotional mug, you decide if they are a customer or a potential customer, and you decide if they are part or your target market. In addition brand awareness is all about multiple impressions, the more a client or prospect sees your logo or is exposed to your brand the more ingrained it becomes in their memory. 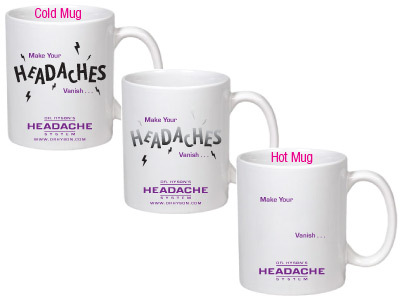 Promotional mugs are something that potentially could sit on their desk day after day and something client might use two to three times a day. When it comes to cost per impression promotional mugs can't be beat, think about it; if your promotional mug is on a clients desk or in their office every day they may see it forty, fifty or even eighty time per day. they may not pay much attention to it but when the time comes that they need the product or service you offer, your brand is embedded in their subconscious and yours is the company they'll think of. Promotional mugs are available in almost unlimited styles and sizes, you can get ceramic mugs, stainless mugs, plastic mugs, commuter mugs, you name it and you can pretty much get it. You also have almost unlimited decoration options you can use multiple color, reverses, disappearing in, you can even get promotional mugs that change your message when hot liquid is poured in. For more information on the thousands of promotional mugs available as well as the range of prices visit our promotional products search tool, to find promotional mugs or any type of promotional product you desire.